Casey Anthony: Do you alert the media for a baptism? 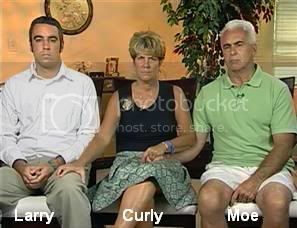 Casey Anthony is getting baptized to signify “a new beginning,” an Anthony “insider” tells RadarOnline.com in a report today. Do you alert the media for a baptism if you’re trying to hide while serving probation for check fraud? The report didn’t say if there would be photos or video of the upcoming baptism. But the insider did share Casey’s theological views. Casey “wants to ensure her own salvation so that she’ll see her daughter again someday,” the source said. Casey Anthony remains unemployed, is not drinking or using drugs and may be in therapy, according to the report from her latest visit with her probation officer. Anthony, 26, checked in with her officer on Monday, records show. The report from that check-in shows not much changed for Anthony in March. She reported no alcohol or drug use, but indicated that she is attending therapy or classes of some kind. As in previous reports, the word "therapy" has been redacted. Officials have previously said that word was removed due to the Health Insurance Portability and Accountability Act. Casey Anthony is still unemployed, is avoiding drugs and alcohol and isn't taking classes or participating in therapy, according to the report from her most-recent probation check-in. Anthony met with her probation officer Tuesday night, according to the Florida Department of Corrections. The officer reported no changes to her probation status this month. 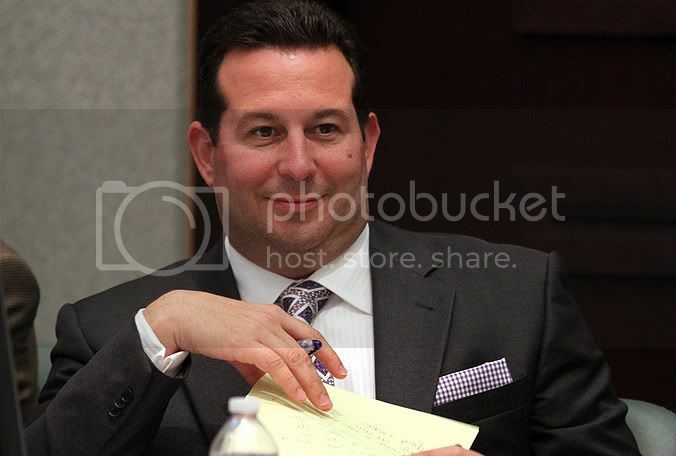 ORLANDO, Fla. -- Jose Baez announced details of a book he plans to release this summer. He promises the book will give an inside look into the Casey Anthony murder trial. The book, titled "Presumed Guilty," will hit store shelves in July -- one year after Anthony's acquittal. "On July 17th 2008, my life changed forever. I think the time has come for the whole story to be told," Baez said in a statement. Baez will be on the Dr. Drew program - Monday. before he met her. He owes her? I will not buy his book! I think KC will have to SUE Baez to get any money from the book..... I'd love to see that. I still refuse to watch any program or buy any books that he and his team or the A's have any part of. Casey Anthony had been hiding out in the South Florida area, but moved last week because she began to fear for her safety and is once again on the move, RadarOnline.com is exclusively reporting. Anthony has been in hiding in Florida since she was acquitted of murdering her two-year-old daughter, Caylee, but has recently been making forays back out in to the public, virtually unrecognizable due to the amount of weight she has gained. (CNN) -- Casey Anthony, the Florida woman who was tried and acquitted in the death of her young daughter, broke her silence Tuesday to CNN's Piers Morgan, saying she was rightly found not guilty. "Obviously I didn't kill my daughter," Anthony said, Morgan reported on "Piers Morgan Tonight." The two spoke for roughly 10 minutes by phone. "If anything, there's nothing in this world l've ever been more proud of, and there's no one I loved more than my daughter. She's my greatest accomplishment," she said. Casey Anthony to Piers Morgan: "I'm ashamed in many ways of the person that I was"
Casey Anthony a fan of "The Hunger Games"
Quote from Mumbles... "She likes the three stooges"
But I see no reason on earth to include positives about KC, or the ANTS or Baez or the whole KC Circus. When I look at Cindy I see why Casey was such a pathological liar, then I think of the dead child, had she lived no doubt she'd end up another liar and self centered psycho just like her mother and grandmother, Casey shouldn't share all the blame IMO she had plenty of help being what she was. Wow guys, I don't see things like you do at all. But remember, variety is the spice of life. I like George and think he's an honest man who thought the sun rose and set on his granddaughter. I am not saying this just because he's such a handsome fellow. I like Cindy who did what she had to do...because her daughter was looking at the electric chair. And I like what's-his-name, Casey's brother and also think he's honest and just a nice guy. I think the whole family is no different from the nicest among all families who, but for Casey, might have gotten to have a blessed existence. And I believe that all of them except for Casey will grieve for Caylee until the day they die. Nobody will like my opinion but this is what message boards are for--opinions and debating. Anything I post is IMO! Casey did not premeditate her child's death. I say death because I do not think Casey killed Caylee. I think Caylee died accidentally but I am not sure how. Drowned, sleeping in hot car, possibly being over medicated (and not with chloroform either). Casey was very immature and didn't know what to do after she found her child dead, although I think those flurries of calls to her parents was when she found Caylee and didn't know what to do, but couldn't reach anyone. It gave her time to calm down and think and she knew her parents would never forgive her for letting Caylee die. Cindy and George loved that child and they were almost immediately attacked by the media and public and that sent Cindy into protect mode, because I think there was no way her family felt she could be responsible for Caylee's death. What Cindy and Goerge did was something i think many parents would have done for their child simple because they couldn't believe Casey kille3d Caylee. Once they accepted she may have been responsible, I think they felt the same as I that it was accidental and they were still going to protect her. Should Casey have been found guilty of something? Yes she should have and she should be serving a sentence of some sort. Child endangerment, treating her little body the way she did, lying to LE etc. I know I am way in the minority but please don't attack me for my opinions. I have thought this from the start and the trial did not change my mind. DUH! I bet you want to move my post, doncha? ?